Do you love Candles like I do? What a great opportunity to have FUN learning and making your own candles. What's your favorite scent, can't find it, well let's make it together. When those special occasions come, as they will, what a perfect gift to give, something special from the heart. 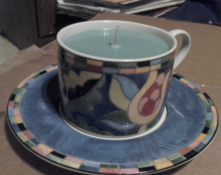 Start looking around and you will find a cute little container that would make a wonderful candle. Let your imagination go. 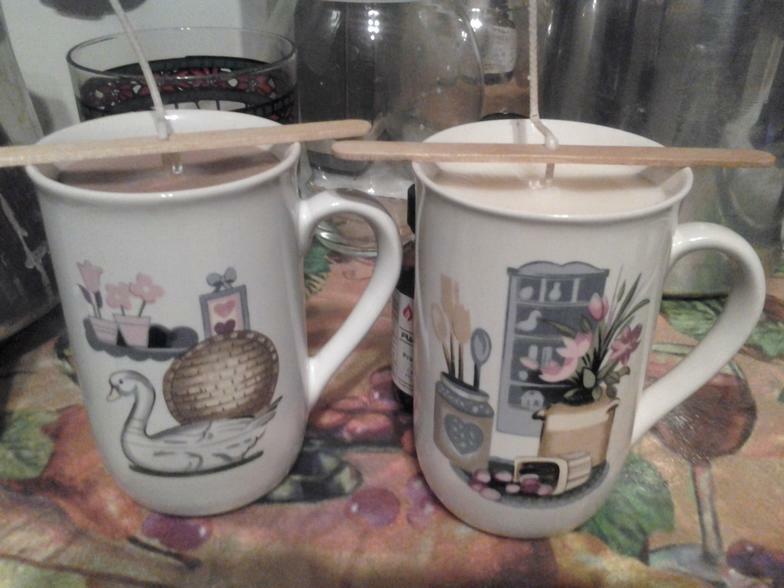 Host a candle-making event/class and your cost is FREE. The cost is $15.00 per person attending. 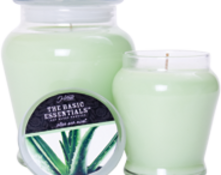 Learn how you can save money making your very own Candle which are SOY-BASED. Have a "Girls Night Out" or get the Teens together for a fun project. Great for any church event or activity, Recreation Center, 55+ resident activities for apartment/housing communties, Boys and Girls Clubs, Girls Scouts, and much more. All supplies are included and they are refillable. There will be games and prizes during the event. 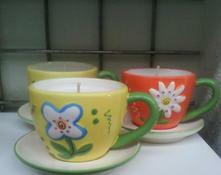 Call now for availability and book your day and time to host your candle-making party. A FUN filled event that includes games and raffles. When you use your imagination and think outside of the box, you will be surprised with your creation. We have used Coca Cola glasses, Tea sets, unique glass vases, and so much more.